Sometimes the leaves succulently, sometimes the leaves poisoning, sometimes they go from green to gone. 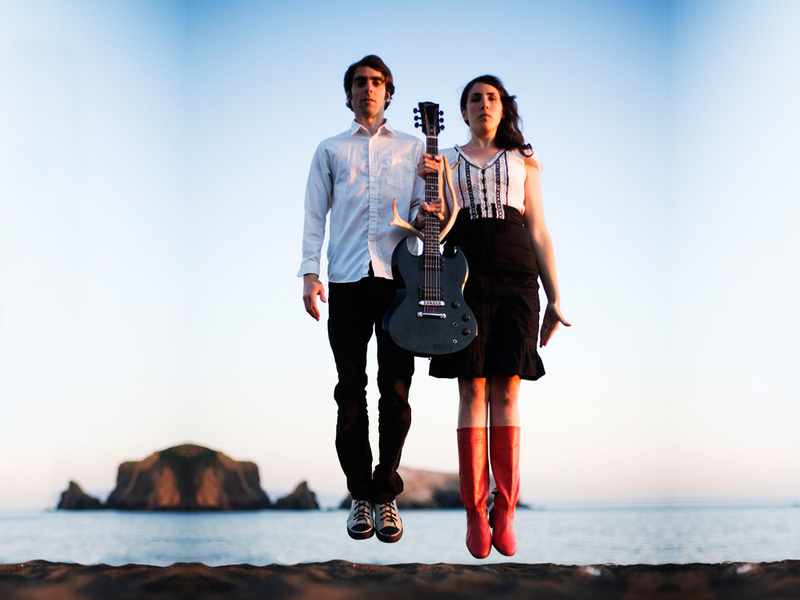 In 2008, Daniela Gesundheit of Snowblink moved from San Francisco to Toronto, irreversibly altering Snowblink from a whimsical warm-weather band touting four male backup singers (two of whom were MGMT) to the current acclaimed duo with Dan Goldman (Luxury Pond). Snowblink quickly became "one of the most compelling new voices on the Canadian scene" (CBC), opening for Jeff Tweedy, Owen Pallett, Timber Timbre, Ohbijou, Great Lake Swimmers, and The Hidden Cameras on extended tours throughout the US, Canada, and Europe. Snowblink's debut record, Long Live, was named an "essential release" by London's Sunday Times, and was granted four NNNN's from NOW magazine in Toronto. Long Live was recorded in California, Toronto, and Brooklyn, bringing together Gesundheit's far-reaching communities. The collaborators and guest appearances on the record include Jay Pellicci (Deerhoof), Thom Monahan (Devendra Banhart, Vetiver), Nat Baldwin (Dirty Projectors), Frank Lyon (Keepaway), Caley Monahon-Ward (Extra Life, Larkin Grimm), visual artist Dave Wilson, writers Max Goldberg and Andrew Connors, Isla Craig (The Deeeep), and Ryan Driver. Gesundheit uses the imagery of deer felling their antlers, of bulbs taking a winter to finally push through the soil, of erosion, of the unfathomable size of grey whales, of the folded fingers of patience being a nest to birds, of a road paved over undertow, of tired bees, of opened oysters, of leaves going from green to gone without ever turning colour, of frosts thawing to describe the way human relationships weather with time. Through her eyes we see nature and natural landscapes with human figures-- broken, vibrant, bereaved, or ecstatic-- in the foreground. What results is a tribute album of sorts --- a tribute to the people in our lives that pass on, one way or another, and to the roaring natural landscape of California. Inner Classics is the duo's sophomore record, released in September 2012 on Arts & Crafts Records.